Planning a trip to Los Barriles? If so, there’s no need to rent a car! On the back of an ATV you can explore isolated beaches, ride mountain trails, discover hidden waterfalls and ride through town. QuadGirl ATV / UTV rentals is located at the entrance to town just across from the OXXO Market. We have the newest selection of quads for rent in Los Barriles and a wide array to choose from. We offer our guests a unique experience on our brand new ATVs. Whether you’re a repeat visitor or a first time visitor to Los Barriles, an ATV is almost a necessity! We know the beautiful East Cape terrain is like no other and we can direct you to the best locations and secret spots. At QuadGirl Quad Rentals, all of our employees are trained to provide 5-star customer service. Our passion for the beauty of Los Barriles, the East Cape and the Sea of Cortez helps us to create unique and special vacation experiences for our clients. We also offer guided tours, click here to learn more. Did you know the QuadGirl will deliver your ATVs to your hotel or vacation rental home? It’s just part of the personal attention you will receive from QuadGirl. 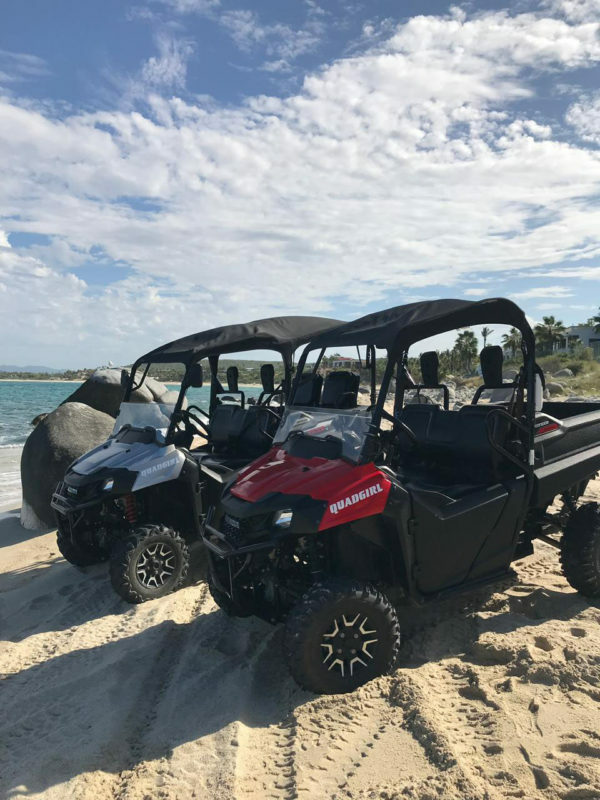 Our promise to you is that you can rely on the fact that our brand new quads are meticulously maintained and ready to get on or off the road! We also offer our visitors the best value in town. Our ATV, UTV, 4×4 and Razor rental equipment are the newest in town and we are continually expanding our fleet. QuadGirl is incorporated in Mexico (QUADGIRL S DE RL DE CV RFC: QUA180111QH3).